Hello, ladies! 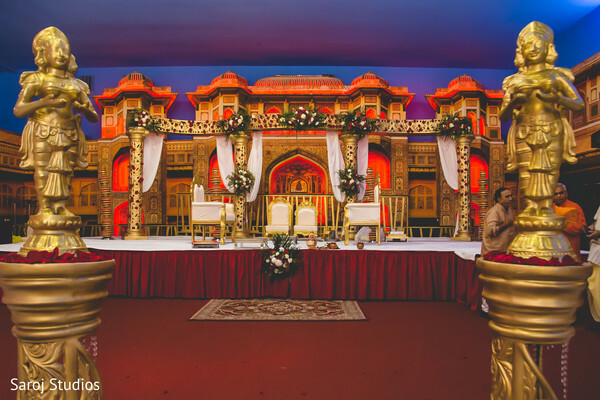 It's so exciting to bring you a big load of inspiration for your special day! 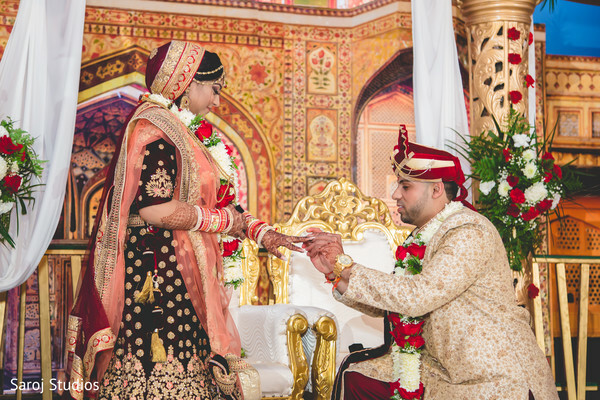 Today we will go over the traditional nuptials of the lovely Nirali and Mitesh filmed and photographed by Saroj Studios! 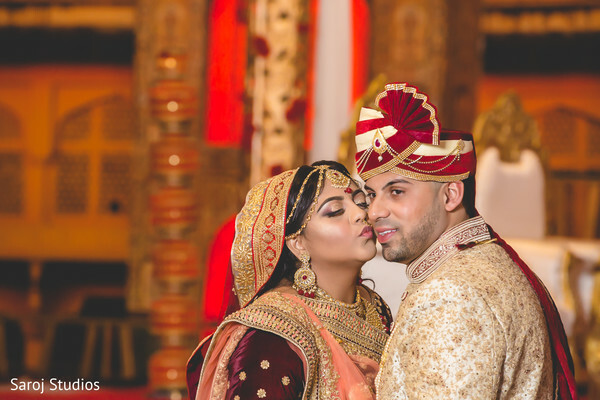 Their bright, big and bold Indian bash took place at the wonderful Royal Albert's Palace and what a wonderful space they offered to this lucky couple! 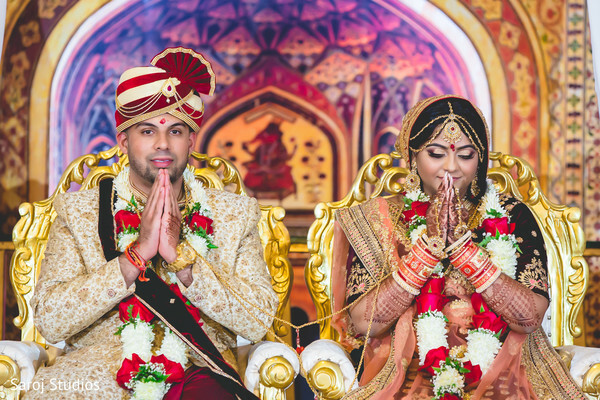 Nirali and Mitesh tied the knot in a lovely ceremony venue that had a wonderful regal flair, surrounded by beautiful reproductions of Indian palaces! 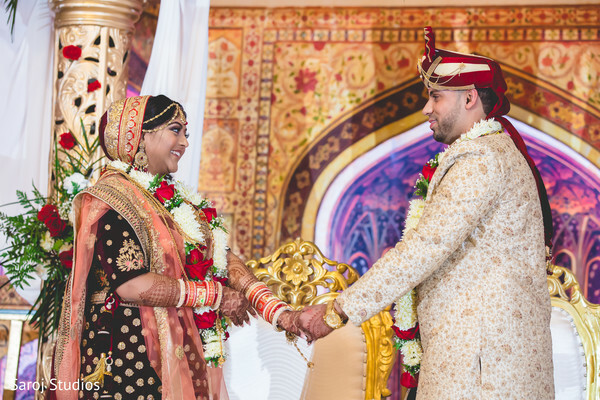 The bride wore a maroon lehenga that displayed charming details in peach color, included in her intricate floral embroidery. 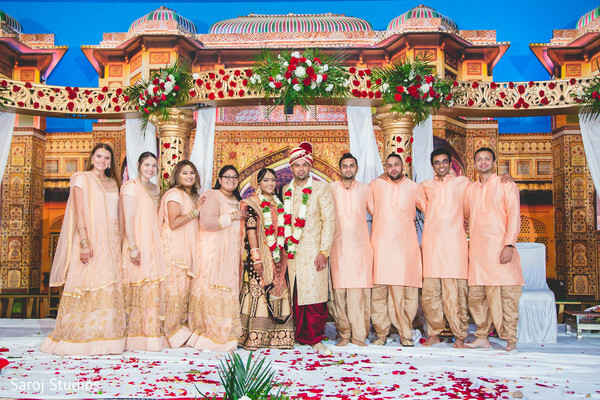 The bridal squad also wore gorgeous peach attires that perfectly complemented the couple’s look! 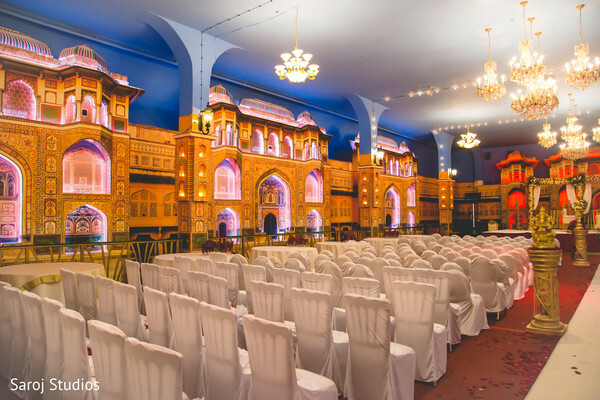 With extreme attention to detail, the wedding experts of AWD Wedding Decors orchestrated this grand and colorful wedding affair so this cute pair could enjoy their most special day with their family and friends with an outstanding performance by Rocking Raaga! 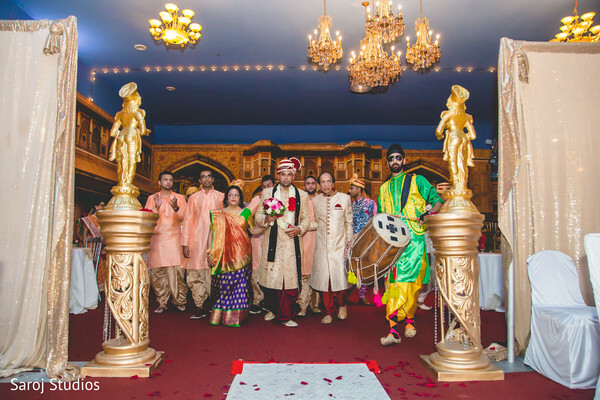 Get an exclusive view of this stunning wedding ceremony in our full gallery! 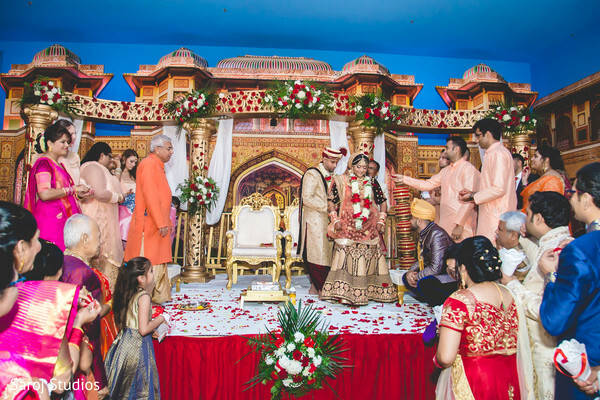 The dreamy wedding day of Nirali and Mitesh is far from ending! 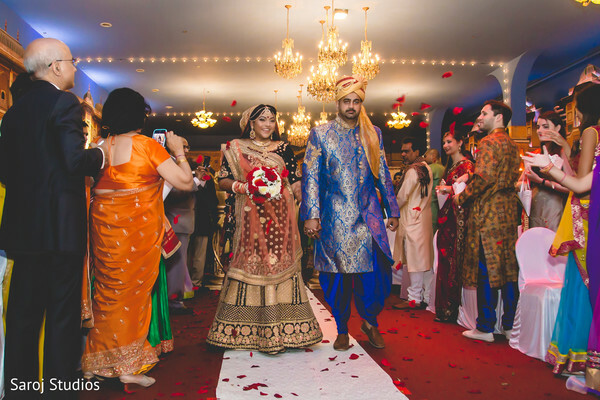 Their soiree is just around the corner.